In October of 2001, my ex-wife Desy (Blue Arrow Rainbow Eagle Woman) and I were invited to go to Thunder (Horse) Ranch in Central, Texas to participate in a Peace Conference held by an old friend and a great indigenous teacher named Mary Thunder. I had met Mary Thunder for the first time in Chicago in November of 1988 as she and her ex-husband named Horse came to a lecture I was giving in a local spiritual center in the city. Mary Thunder has been privileged to know Joann Parks, the guardian of the ancient crystal skull “Max” and has invited Mrs. Parks and “Max” to send many special conferences and ceremonies. 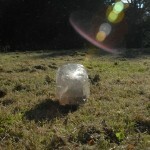 It was through the contact with “Max” that Mary Thunder became interested in the crystal skulls. We were very honored to be invited as Peace Elders for this conference in Texas and we brought with us the crystal skulls we had at this time to share with the people who attended. We were gratitude to some of the other Peace Elders who permitted our crystal friends to participate in their ceremonies. However, one of the most special events to take place at this conference was the opportunity to meet an indigenous Grandfather by the name of Tue Bear. I had never met Tue Bear before nor was I acquainted with him. But I do distinctly recall that after I shared a little bit about myself and connection with the crystal skulls in a circle, where we introduced ourselves, Tue Bear spoke up and discussed his familiarity with the crystal skulls. I sensed that this gentlemen, who was sitting in a wheelchair and was blind, had great wisdom. So a little bit later I asked Tue Bear if he might allow me to interview him (which I did with an old cassette recorder) and ask him some questions about the crystal skulls, which he agreed. Now part of this interview has been printed in the e-book version of our new book, “Journeys of the Crystal Skull Explorers (released in 2004-2005) and also in the three non-English European editions we have had published (between 2004-2008) but the full interview has never been released. What you have to understand and I am sure you will clearly see is that Grandfather Tue Bear was no ordinary man. He was a great teacher and holding of universal knowledge and light. I am sad, as I look back here in 2010, that this was my only opportunity to meet him in person as he passed away a few years ago. This is a great shame when a great teacher leaves us but at least we can remember him and learn through his words he spoke to me back in October of 2001. Joshua: Grandfather, could you first share with us a little bit about your background and which tribe or nation you are a part of, and how it is different in some way from other Native American tribes? Ocie Wolffe and Grandfather Tue Bear dressed in their traditional Native American customs. As you can observe Grandfather was considered and honored as a full chief and Holy Man. Photo provided by Ocie Wolffe. Grandfather: Well, I am a full blooded Cherokee, I am the Peace Chief of the Four Directions, I am a Holy Man and Shaman. I am also one of the forty-four warriors of the Rainbow. And I have been chosen as one of these forty-four by Spirit. When one of the warriors dies, another one is chosen. I live in Western New York, an hour south of Buffalo, and the gentleman I replaced lived in Florida and his name was Ken. So I took over his position as a Rainbow Warrior. And like I said, I am a full blooded Cherokee. And there is a lot that we keep to ourselves, because this is sacred to our nations and to our people. And we don’t open up very much to conversation about our heritage; some things we do and some things we don’t. And with that I can turn it back to you for another question because that is as far as I can go with this part. Joshua: It sounds like the tribe you belong to, has different people that are part of various tribes and nations that work together, is this correct? 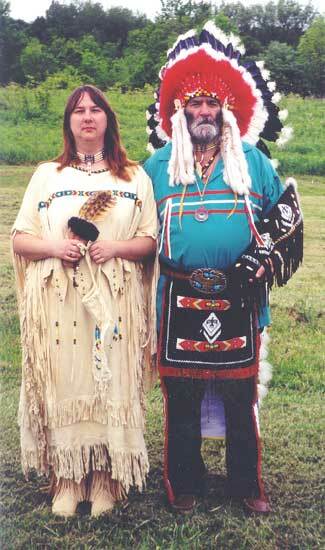 Grandfather: Well, I belong to the Southern Cherokee and Associated Bands. My original reservation is in Cherokee, North Carolina; that’s where my people are from but I belong to the Southern Band in Texas. Joshua: So you are considered to be part of the Cherokee Nation then? Joshua: Ok, then lets talk about then about your knowledge or experiences connected with the crystal skulls which you wish to share at this time, since I understand that you personally own one. 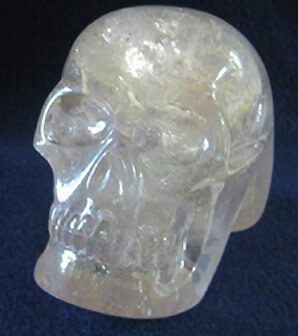 What was the first time that you became acquainted with the crystal skulls? Grandfather: The first time I learned about the crystal skulls was when I came from Holland. I was on a plane coming back and the Star People, the Mayans and the Pleadian People, came to me on the plane (Editor’s note: He received a telepathic communication from these people or beings). So I asked my wife, Ocie, where we were at (in this moment), and she asked me, “Why?” I said, “Because we are going into a Portal.” And the plane was bouncing around a little bit and we went into this Portal. And that is where I was first introduced to the Star People. As we went through, the idea of Providence came into my mind as we were speaking. So I asked my wife where we were, and she looked up at the monitor, and it said Providence, Rhode Island. And at that moment, we went into a vortex, and the plane had an entirely different feeling to it, themotors and everything was different; it was like being on a smooth piece of glass. The plane didn’t have no vibration or nothing. And when we came out the other side, that is when we came back into what I call reality. A lot of people will figure, well, if a person talks about Star People, Pleadian People, the Mayans and the Ancestors, they assume that you not all together upstairs. Well trust me, I am all together upstairs. Joshua: When you had this contact, it was in a channeling or telepathic manner? Matrix is the language of the Star People, which helps us see the underlying meaning of words. It is like a dictionary, but not quite. Take the word “rope”. You can look into all the various meaning of the word, but still not get all the significance of it. If you spell it… R O P E then build on it, with words that come through your heart instead of your head, you might get: Realize Other People Exist It is a purely individual interpretation. When you use Matrix to interpret the words you find yourself often repeating, or getting stuck on, then you can move beyond the situation, beyond the words. You are sort of channeling the information you need to hear from your own higher self. Then I went back to my cabin and I was there for awhile, and all of a sudden, voices started to speak to me, so I shift changed to an Eagle and flew to Mateo Tipi, which is Devil’s Tower, had a counsel with the elders in spirit and I came back. And then I wentout to Sedona, Arizona. I have never been there in my life, and in spirit, when I was out there, I spoke to a woman who was a psychic and I was told that I was going to meet a gentlemen they call The Commander, which I did. He was a Star Person. I spoke with him and then I went home. Then, they came and got me, and they took me up to Orion’s Belt, the third star off to the left. And they put me in this room and they gave me a pill and they filled it with halon. Then they took me into an Aqua room, where there was water and I lived through that. Then they took me outside into space and then I came back home. “Commander” – a Star Being who the commander of a space craft and was telepathically communicating with Grandfather Tue Bear. Afterwards, I called Jim, a friend of mine in Arkansas, and I was telling him about what had happened, and that I had to go back to Sedona to find three stones…a black one and two red ones. Well, I was to meet him down in Florida, but when I told him the storyabout the Commander, he started to laugh like crazy. So I asked him, “What’s so funny?” He said, “I went to Sedona, and I spoke to this psychic woman in the physical. She told me that I was going to be the mediator between the Star People and the EarthPeople, and the man I was going to deal with was the Commander.” I told him about the stones, and I described the one that he had. It was black, and flat on the bottom with triangles. The triangles represent the vortex opening with the Star People. Then he said he had tried to work with it, had given it to his daughter to try, but it wouldn’t work. So he said, “I think this is the stone that you need because you described it to me, and you have never seen it.” So he mailed it to me and I have it. So now, I have these stones. And I am to build a calculating devices with these stones. I was told to get three prisms, four inches long, triangular shaped and then to get a ball with many eyes which is like a crystal ball with facets in it. Then I should take it and assemble this outside in the yard. From sun-up to sun-down it will sit there on a material that will melt and not burn. And this would give me like a road map, a star map of the stars in the heavens, how to move through in the galaxies, where all the Portals will be, where all the Wormholes are, the Dark Circles and all of that. And those were the things that were being shared with me by the Star People. When I got there, they were doing ceremony and the skull was on the floor on a lighting pad. And when it was my turn to present myself to it, I was sitting in a chair watching it and I just went (astrally projected) to a Monastry where there was a Lama, a little fellow with a little hat with a bead on the top, but I don’t know too much about these people. And then he pushed me back right where I was (back to my body) and then I honored the skull by bowing to it. A lot of people don’t know how to do that. But when you come to a position with such magnitude of responsibility for people, you have to honor it in a certain way. I honored it, I bowed to it, I made the vortex to triangle it, and I opened up the chakra between the skull and myself . I touched my forehead to his forehead and then I went and sat down. Ok, it came time for me to go out of there and Walter came and he got me by the arm. And all I said to him is, “Walter, why me?” And Walter said to me, “Because you are a key.” And for the longest time I couldn’t understand this. So they turned around and I was gifted a piece of that skull, they call it baby MAX, and in the skull itself, I got an image of the Dalai Lama. I was in that house and I was gifted the red crystal which is the Red Lama and that was given to me by Jim. He was given that a good many years ago. It was solid, and when it was handed to him, it split, like a diamond cutter splitting it into halves. He said to the Lama, “I broke it.” And she said, “No, go find your brother.” Well, I never saw this man before, and he came through the back door in Florida at this gathering, where the skulls were. He walked in and sat down, and he talked to me, and then he got up and left. Then he came back, and then he left again. Then he came back and he said, “You are my Brother”, and he told me the story of the red crystal. After that transpired, I was on the way out of the door, and I was handed a sphere. It has Mary, the blue light energy in it, which connects me with the Star People because of the blue light energy and the grid lines that are out here. They are what’s connecting the world together through the Star People. That is my connection with the crystal skulls, and that’s my connection with the Star People, the Mayans and the Pleadians. Joshua: Thank you Grandfather. Now, based on your experiences so far with the crystal skulls, what do you feel might be their purpose or how might the skulls assist humanity? Grandfather: Well, the education that I got from your crystal skull when you handed it to me (Editor’s Note: I gave to Grandfather our skull, Portal de Luz to hold during the conference which is pictured to your left ) and I just got so overwhelmed with energy, and he spoke to me. And what the crystal skulls’ purposes are is that they were put here because of the new Millenium coming up, the new world. And (the) Matrix. You will see a sign on a building, and its been telling you, its been posted there for one reason, to let us know about the changes in the new millennium. You got a sign which is a great big circle and you have a 2 and 4, which is 24, and you have “hrs” on the bottom which represents 24hours. But that’s knowledge from the Star People and from the Mayans which is saying that the circle is completion, the 2 is the two worlds, the old one and this new one. And the 4 is the four directions of this world, the circumference, for all the people. And “hrs” is hear responsive sound. This is the teachings of the Mayans and the Pleidians and the Star People. And this is what we have to learn. What I was shared from with your skull, the purpose of these skulls is coming into light now because of the world the way it is today with peace and the destruction. And the caretakers such as yourself. I was told three years ago, the only reason you have it is not because it will make you great, it will not make you perfect. You are a caretaker, you are responsible to cultivate that skull into the world with the people. And that skull will work with each individual person to energize their hearts and their minds; it will sever the conscious and the subconscious and it will go to the heart. The heart has a brain, and if it wasn’t for the heart, the rest of the body wouldn’t work. And by doing this, the energizing of the skull to the people, is waking them up to let them know that these people from the Stars and Heavens are already amongst us. They are walking with us through a veil on the other side. And they are turning around and energizing people. I am not saying programming; don’t get me wrong, it is ENER-GIZING the world for world peace. And that’s what the purpose of these skulls are for. They are to be brought into community, they are to be brought into spaces, sacred spaces, any space where there is a life that is walking on two legs, four legs, with wings, the creepy crawlers, everything that is on Mother Earth, that lives from here. run by monks. And I was taken up there just about a year ago, and I didn’t know anything about it. So when I heard about it, I wanted to see it, so I was taken to it. And it has a big Buddha, when you come up the main stairs. I went to this Buddha and I sat there and I prayed and I prayed. Then my wife helped me out and I sat at the center of the stairs. Four Star People came out of this Pagoda, they went to each corner, each direction. And then four more came out and stood between them. And then I was told to call my friend Bill in Arkansas, who is doing (sweat) lodges out there. He was very close to this kind of stuff. And I said, “I was told by the Commander that he is sending four Star People to your lodge tonight.” Grandmother Alice is the seer, and she was not told of this. When they went into the lodge, four Star People showed up and also Grandmother Spider, the wolf spider, the pink one, showed up. So these are things that the skulls are suppose to be doing for the people and not against the people. It is to inspire and to wake the world up that now is our time, this is world peace, we have to do this. And when people see these skulls, there are going to be believers and non-believers, but that is the concept of balance. And as I shared with you, yours is a very powerful skull, very powerful. It’s a contemporary skull but the material is ancient. And that’s what is important. We have to recognize the ancient skulls butwe also must recognize the contemporaries ones because they are like the feelers. And the 35,000 years old skull MAX, Sha-na-ra, Rosie, Alexander (this new one that we just received, it is aventurine, and it is contemporary), and all these other ones that are coming up; those are the workers, those are the feelers from the brain that’re going out, they are energizing the gridlines. Wherever they are, the big (ancient) ones, the contemporaries skulls are attached and they send the energy down into the bigger ones from the Stars, theHeavens or whatever you want to call it. They bring it down, and levitated and transform it, and reach out to the ones that we have, and put that energy into them. Joshua: You said that you personally have an aventurine skull? I turned around and she handed it to me, and this was the aventurine one, which is healing and it was very powerful. So she handed it to me, and I felt it, and it just felt right. But they wanted too much for it, at least I thought it was too much. So I said, “Maybe not.” All the way down the road, ever since I left, it called to me, “Come back and get me. Don’t leave me here. Take me with you!” So I went all the way back to New Jersey from New York, and as soon as I opened up the door, I got on the phone and called the store up and said, “Put the skull in a safe and lock it up. I am coming back to get it.” So we went back and we bought the skull. Regardless whether you buy the skull or it is gifted to you, the purpose is to get them into the right person’s hands, that’s what it is about. A lot of people figure that ‘Oh, you had to buy that!’ Well no, that is the avenue in which it gets passed around to you. So we bought it and we named it “Alexander”. He was a happy crystal, he was happy at home. Then, Joanne brought “MAX” to the cultural center in New York City and we went and we took “Alexander” with us. And we energized the skull with “MAX”, and ever since then, he has been quite charged. I bought him a little house that he likes to travel in. It’s a nice green little furry cassette case we put him in and he loves it in there. We don’t treat him like he just an object, where you put him in a paper bag and take him where you want to go. He has his own little palace he’s in, it’s a nice furry green setting, and he loves it. About my physical health, I am blind, diabetic and I have congestive heart failure. (One day) I had blood clots moving through my heart. The skull was up on the altar in the front room in our spirit room, because I have a lot of spiritual tools in there. Ocie thought that I was going into an insulin shock, so she got honey. Well the skull floated across the room before she got home from work and landed on my chest. He got so hot from my hands holding on to him, and the skull doing his work, that I had to wrap him in paper towels about a quarter of an inch think, just to hold him. So Ocie comes through the door and she brings the honey and I told her I didn’t need it. She said, “What do you have on your chest?” I took off the towels and there is “Alexander”. I said, “Would you put him back up on the altar; I am feeling better.” She took him and she had to throw him from one hand to other, like you would a hot potato, because he was so hot. And his healing energy melted all these clots that were going through my heart. I bring him to people and its not show and tell. I honor and respect him, I sit him on a red cloth, I don’t put anykind of material of hardness or anything (against him), so it holds its energy. That’s what we need to do with these skulls. We need to protect them with red cloth; that holds the energy; that’s sacred. People will come to me and they will ask if they can pick him up and I say, “Yes you can, just don’t drop him.” Then they will ask me what should they do with him, and I say, “Put the skull over your heart chakra, so the brain stem is touching you, and hold him.” They pick him up and he is ice cold. About twenty minutes afterwards, he’s hot. You see, that’s what these skulls are suppose to be doing. They take care of this work for us. And as caretakers, we have to respect that. (Joshua: I agree). And there are a lot of people out there who are believers and non-believers, but once they do have contact with them (the skulls), it turns them around faster then a car with a reverse gear. (Joshua: I agree). Aho. Joshua: Grandfather, recently I have had an opportunity to speak with different Native American elders to see if they are familiar with the crystal skulls, and I was curious if you have any knowledge of certain nations or tribes who might possess one. For example, I spoke to an Arapahoe Elder, and he said that most Elders choose not to speak about the crystal skulls because they are so powerful and might be misused in the wrong hands. Grandfather: Well, you see a lot of nations, they do use the stone people and that’s actually what these are. They are stone people, that’s why they are created the way they are. Yes, there are Cherokees that use crystals and a lot of nations use the stone people. But when you come right to them and ask them flat out, “Do you have a crystal skull?”, they will say to you, “What’s that?” And some of them have one. This is some of the sacred knowledge that I try to share with people that other nations don’t speak of, like the Lakota, of which my wife is. The Lakota have what is called the Seven Sacred Rights and there’s a lot of people that are out there, native people as well, they charge people and they sell these rights and its not the way it is suppose to be. It’s the same thing with these crystal skulls. If someone came to me and wanted to sit with my skull and they offered me money, I would put them out of my house. I would not accept that money. I would tell them, “No, if you came here to buy something, there’s nothing here for sale. But if you came here because you need something, that’s fine. Your needs will be met but your wants will not.” And that’s the way it is in spirit. Our wants are never taken care of. I have a story about the wants. There is this man who collects Tiffany lights which are beautiful. He goes to down to the auction and he found one and he bought it. He brought it back home and he looked around his front room and his wife said, “My, that is a gorgeous lamp, but what are you going to do with it?” He said, “I wanted it.” Then she said, “But where are you going to put it? There is no stand for it?” So he turned around and he said, “Well, now, I am going to buy a table.” She asked, “But do you need that lamp?” He said, “No.” So here we are going around to try to collect something that we want and we will never receive it. But when we follow our heart and respect the items that we need, they are already provided for us. You will find what you need no matter where you go. But if you go look for what you want, you are never going to find it. Joshua: Do you think that at some point in the future that the nations or tribes which have these crystal skulls will allow them to come out more publicly? Grandfather: Well, what they are doing with these crystal skulls, I will enlighten you about one thing. If you remember when we first started our conversation about this, I told you about the blue light energy and I told you about the Grid and Grandmother Spider. The purpose of the Grid is to connect all these points around Mother Earth. The purpose of Grandmother Spider, she weaves the web for all the connections and in the center there is a hole. It’s like the dream catcher. All good things will go through the center and all the bad will be caught in the web, and at the first (blue) light, all the bad will dissipate but the good will come through. These skulls that are put out there on the gird line who are working, they don’t have to come out into the public. Last year, Spirit came to me, and the Commander came to me, and spoke with me and told me to send out a yellow prayer tie with tobacco in it, out to Egypt to be put on the left side of the Sphinx. The Sphinx has two feet sticking in the front, one left, one right and there is a big concrete thing around the feet. The tie was buried near the left foot. Down underneath the right one, is another skull. And that’s down there, and it will never come up because they have concrete around it, and I hope that they don’t find it. Because that’s one of the key points, contact points, as you would say. Like, if you were going to have a three speed motor, you move from low to medium to high. And that’s why these grid lines are all set up like this, because each one of these contacts would be like a distributor. It whirls around and it goes “dit dit dit dit dit dit”, and it’s sending out these waves of energy. We have to expand it more and more and more, to keep the geo-magnetic forces of the world from tipping, because that’s what its doing. It’s leaning, because there is so much mining going on, so many tunnels being dug into the earth,so many minerals being taken out of the earth which is knocking it out of balance. And by being knocked out of balance, it’s got to be put back in. And that’s what these skulls are doing, its trying to gyrate the earth back to its polarity where it is suppose to be. Joshua: So the skulls are working at certain points on the electro-magnetic grid? Grandfather: All over the world. Joshua: Are there any other messages or information you might like share right now, whether its related to prophecy, the crystal skulls or just important information people should know about related to current events of today? But when you meet a true Elder, he will feed you food for thought, he will relate things to you like I am now. And all I am going to do is to facilitate this to you. Whatever tastes good to your consciousness and subconscious and your heart, follow your heart, not your mind. Let your heart energize you, food for thought. What is good is good, use it. If you can’t use it all, put it on the shelf for later, maybe you will need that information down the line somewhere. And if you ever come to an Elder that will dictate to you, then pray for him. Because that means that he is not being open to you. Because I learned from you when you shared your crystal with me, that was your teaching to me, and that was my learning time. And now that you asked me what happened after I held it, this is my time to share with you for your learning part. Whatever these words means to you and however you wish to utilize them for other people, by all means follow your heart, that’s food for thought between the two of us. Aho. Joshua: Grandfather, thank you for taking this time to share your special information and insights. I am a spirit daughter of Tue Bear, and since his passing have lost contact with Ocie, whom I also am spirit daughter with. If you have information on how to contact Ocie, please send her my email. I would love to connect.